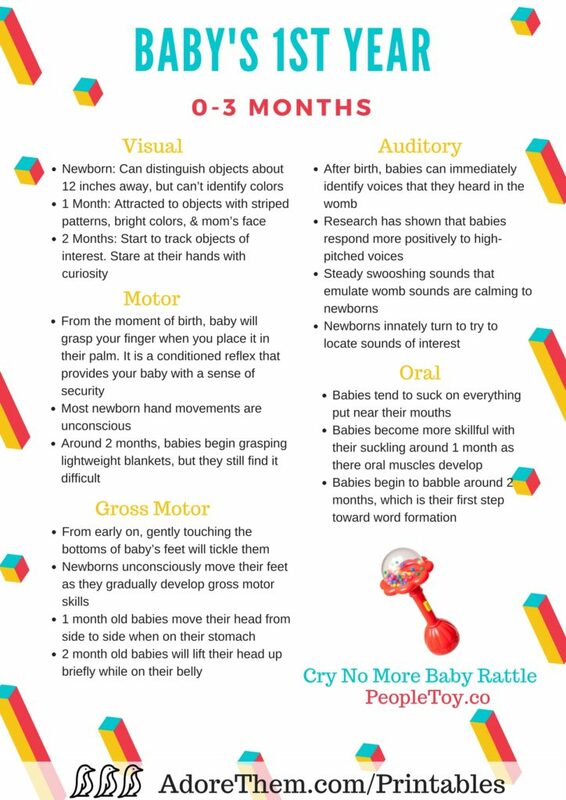 It is incredible how much a child changes within their first year! 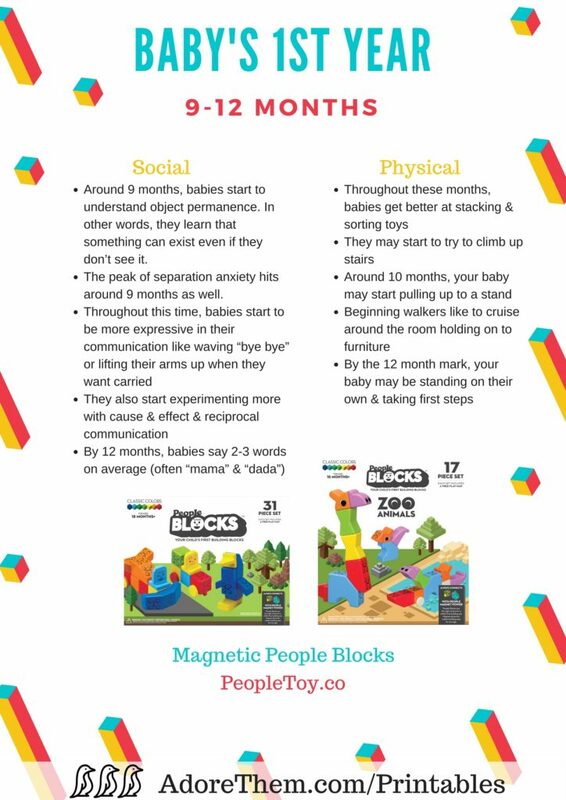 They are little explorers that are learning how to thrive in their new world, & us parents are lucky to be a part of that journey 🙂 While every child develops at their own rate, we have put together some printables with guidelines about what you might be able to expect at each stage. 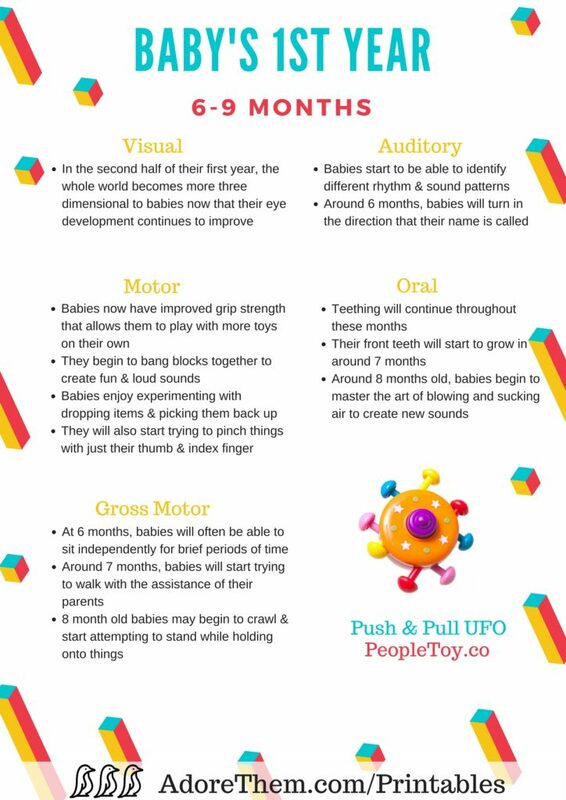 People Toy Company puts a lot of research & thought into their products for little ones, & they provided us with much of the research that went into these developmental milestone printables! 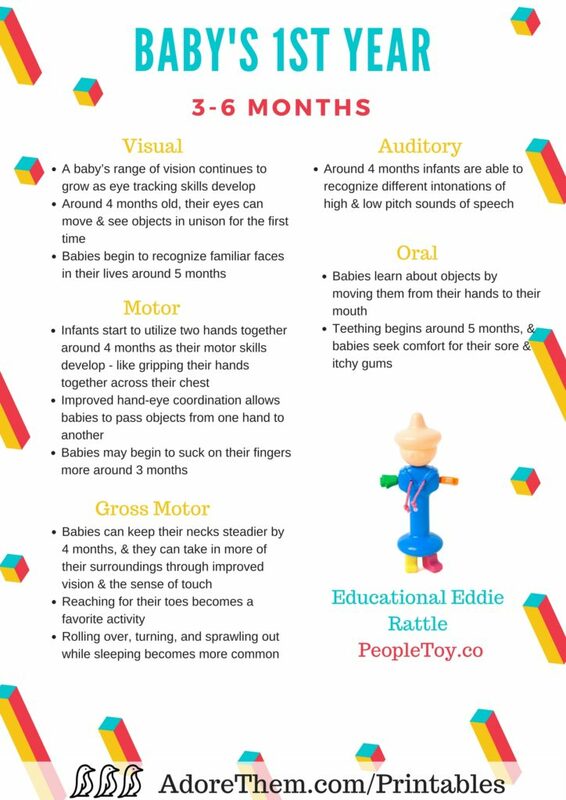 Click the images below to open, save, or print the full-size printable!